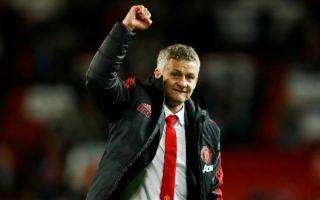 Manchester United’s interim manager Ole Gunnar Solskjaer has responded to questions over his future as talk hots up about him taking the Red Devils job permanently. The Norwegian tactician has been a revelation since coming in to replace Jose Mourinho, but is currently only due to stay with United until the end of the season. One imagines Man Utd will take their time before making a final decision as plenty of other big-name candidates have also been linked with the job. However, it may also be that a decision has been taken in private, with an announcement yet to come, which is what has been reported by the Sun. It remains to be seen how accurate this proves to be, and Solskjaer has given little away with his response to questions on this topic in his press conference this afternoon. The 45-year-old called on journalists to try to change their questioning, insisting he’s just focusing on the job he’s been given for the next few months. ‘You need to change your script, you’ve had so many ways of asking that question. That are still many months left of this season for me to do whatever I can for this club,’ he said, as quoted by Chris Winterburn in the tweet above.